Workers’ Compensation and Independent Medical Exams | Johnson & Gilbert, P. A. 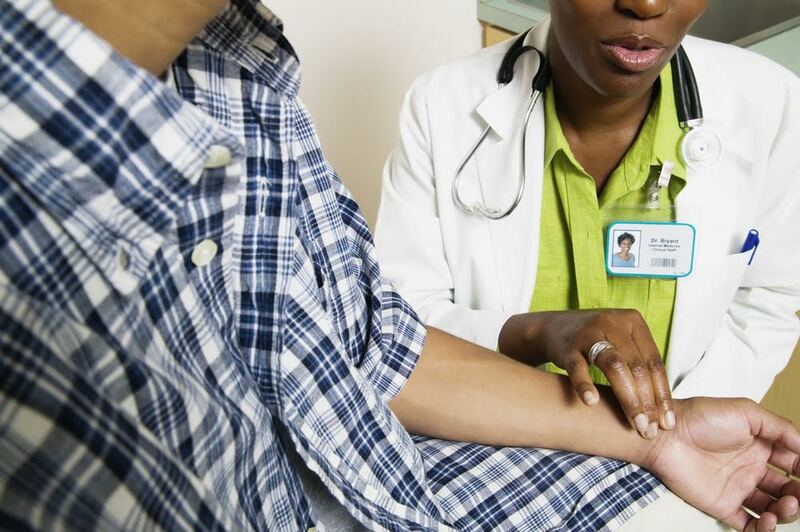 What is an independent medical examination, and why can't I get it with my doctor? When you’re injured at work, treatment of your injury may come into question. When should you see a doctor? Can you see your own doctor or must your employer’s physician treat you? If you see a certified physician, why does it matter if he’s your regular doctor or not? of the injury may affect your physical abilities. A physician who's never treated you before must rely on an "average" diagnosis—the average person will be able to work in three days with this type of injury; an average person will be able to deal with the pain—a method which may not be as helpful with personal treatment options. Unfortunately, the ultimate determination for work-related medical care may not be your decision to make. For the majority of workers’ compensation claims, injured workers are allowed to initially choose their own attending physician, although certain stipulations may apply. For example, depending on your employer’s workers' comp insurance, he or she may request that your chosen doctor is within that insurance network. Once your doctor determines a diagnosis and gives you a treatment plan, including work limitations, your employer’s insurance has the right to review the recommendations to evaluate whether they're reasonable. If for some reason the insurance company disagrees with the assessment, it can notify the physician of its objections within 10 business days of the review and request the case be transferred to an independent medical examiner (IME). Rate the injury. An independent exam can be used to evaluate the degree of your injury. This report is especially useful when determining partial or complete disability. Verify or contradict the previous assessment. The findings of this exam will either corroborate or discredit the previous physician’s diagnosis as to the severity and proposed treatment of the injury. The outcome can determine how your employer manages your workers’ compensation. Answer questions. The exam will not only allow for you to get answers to specific medical questions pertaining to your injury, but also allow an employer representative to be present and pose questions related to limitations and treatment options. Resolve disputes. As an independent party, the IME’s findings can be considered unbiased, and be used to settle any miscommunications, skepticism, or suspicion from either party about the injury’s severity and need for treatment. Again, IMEs aren’t necessarily a requirement for workers’ compensation claims. However, it’s important to realize that after the initial examination from your doctor, your employer may request a second opinion from an independent examiner. For more information about your workers’ compensation rights, feel free to browse our extensive collection of informative articles, blogs, and FAQs. For a more intimate discussion and review of your case, contact the experts at Johnson & Gilbert, P.A. directly at (386) 673-4412 to setup your free initial consultation. We look forward to hearing from you and helping you secure the employee benefits you deserve. What Should I Know About Workers’ Compensation Claims? What Do I Need to Do After a Workplace Injury to Secure My Claim?